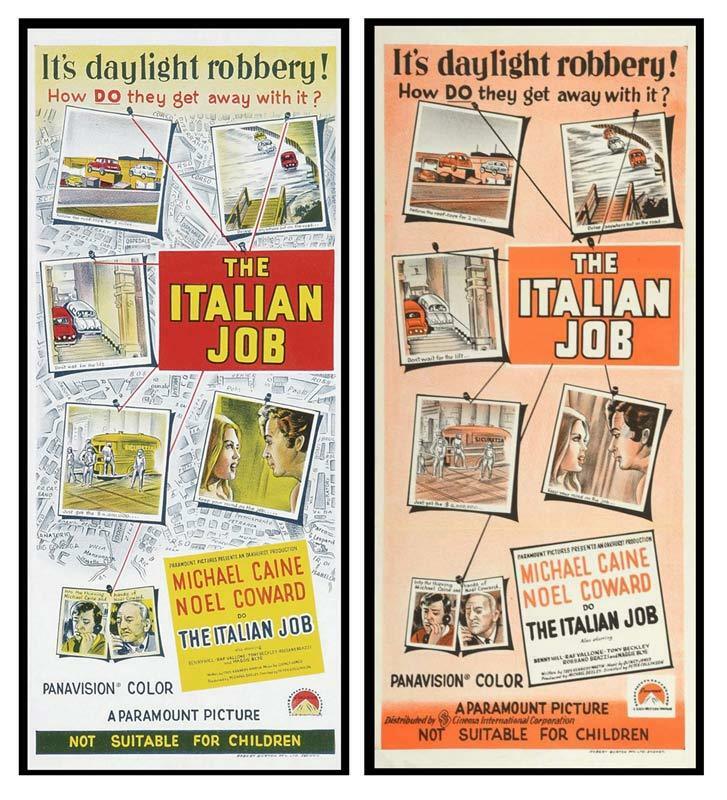 News | Moviemem Original Movie Posters - THE ITALIAN JOB Daybill Movie Poster Original or Reissue? An Italian Job duotone daybill (pictured below right) has often been referred to as original release on ebay and other sites. However, it is actually an early 1970s release daybill that is consequently far less desirable than the original (pictured on the left). One of the problems with ebay is that sales record are no longer visible after a few months.This means that buyers have little recourse if they find out months later that the poster they had purchased was actually a reissue and not original as described. The artwork on the reissue daybill is clearly inferior and less detailed than the original and the difference is easy to spot when seen side by side. However, the original is quite rare whereas the reissue turns up regularly on ebay.